The Wind Rises is Hayao Miyazaki’s goodbye to us. It’s a visually stunning piece that takes its time, indulging in the narrative about finding what you love to do, no matter what. It speaks volumes about Miyazaki’s dance with cinema, his passion and devotion to the dying style of 2D hand-drawn animation (embodied by the character of Naoko in the movie). It’s his farewell to us. And it’s beautiful. Gorgeous. Poignant. Heartbreaking. Moving. 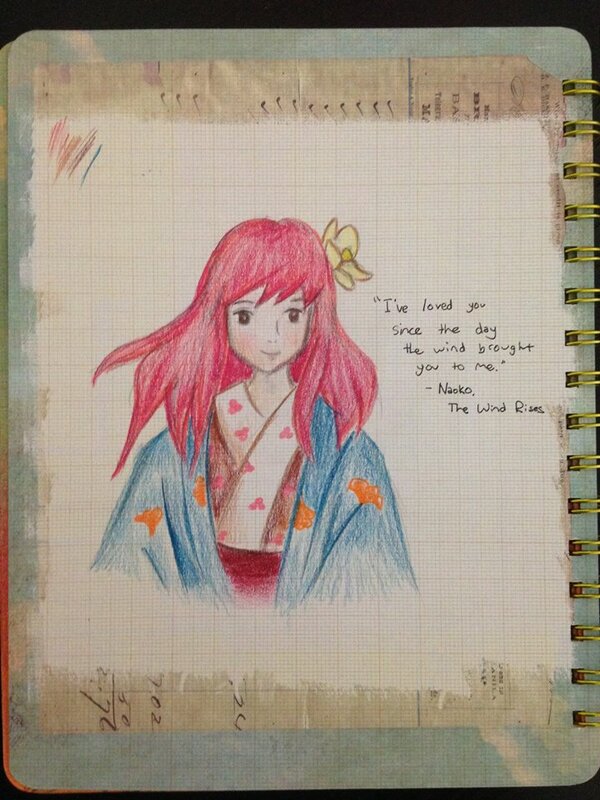 Miyazaki is a genius and I hope against hope that goodbye is just a substitute for we’ll meet again. My family never met him, but it’s almost as if they had. I must have told my family about Ajay countless times, a classmate who I believe was the only uncorrupted guy at our school. His encouraging Facebook comments, posts, and messages never failed to cheer up his friends. 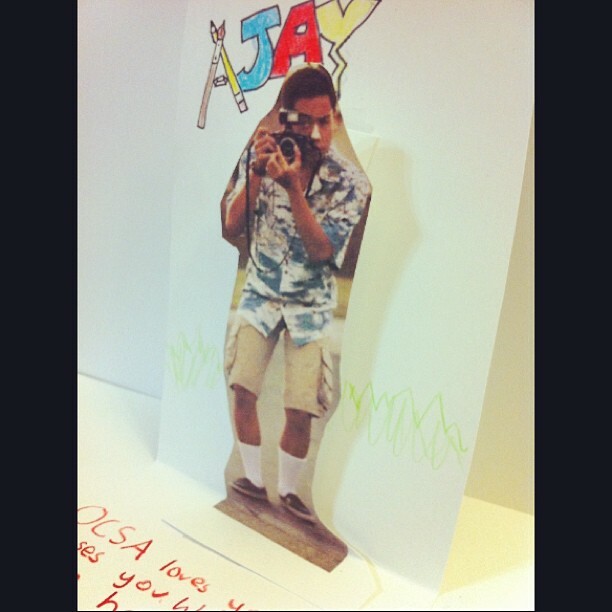 Ajay and I met at the beginning of seventh grade at our art school, OCSA (Orange County School of Performing Arts). A typical day included academics, our talent classes (conservatory), music blaring during lunch, dance classes, and climbing the stairs to the seventh floor. I had always admired Ajay’s talent as a photographer and an Artist. Most of all, I loved his big smile and unmistakable laugh that completely fit in to what we both had in common – a love of arts and our unique, crazy school. Ajay wouldn’t. He and my other friends kept laughing at something. Although they never did focus, I couldn’t help but join in the laughter. He taught me that sometimes, you have to learn to laugh at yourself. When eighth grade rolled around, Ajay was in two of my classes. He never failed to greet me with his warm trademarked smile and “Hey Cassie,” one of the few people who used my nickname. We sat next to each other in Science and had weird talks about nights out at Souplantation to the Aurora Borealis. So on a Friday in February, when the bell rang excusing us to lunch, I didn’t think too much of the commotion surrounding the classroom next door. A teacher told us to clear the hallways. “What happened?” I asked my friend later, who was at the scene. 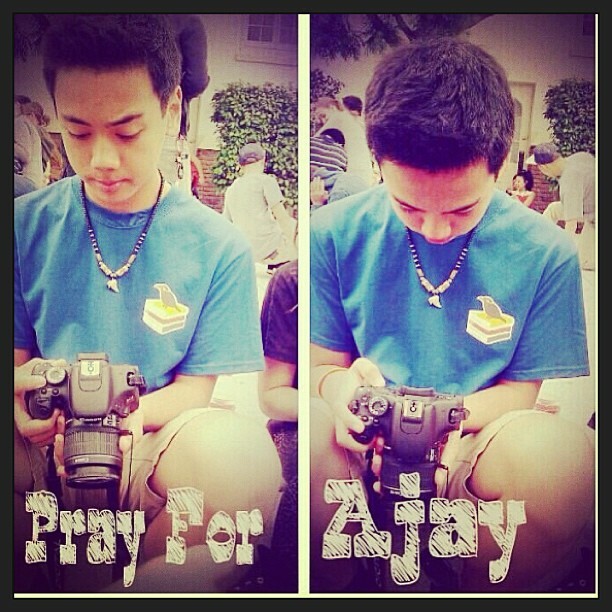 That night, I Googled “brain aneurysm.” On Instagram I found photos of Ajay with the hashtag “prayforajay”. I reposted the picture, praying to God that he’d be back soon. At the time, my biggest worry was that he wouldn’t be sitting next to me in my classes and that I’d have to wait until the next school year to see him. The teacher said we could write letters and she’d deliver them to him. On Wednesday, in Creative Writing class, we fell into a discussion of death. Where was the line in literature concerning being humorous and being offensive in the area of death? My classmates shared their own tragic experiences with a lost loved one. I said that I had never experienced death before. That night, I wrote a letter to Ajay and planned my outfit for the event “Wear White to support Ajay” that was taking place on Friday. Then, I logged onto Facebook. When I read my friend’s post, my first thought was, there’s got to be a mistake. I felt the familiar burn in my chest that always hurts when I cry. I cried into the arms of my mom and I cried until I fell asleep. Tears wouldn’t stop as I rode to school in our carpool the next day, our car deathly silent. Grey clouds blanketed the sky. The only sound that echoed in the hallways of our usually noisy high school was the sound of hearts crying out in unison. Strangers became family as we hugged and wrapped our arms around each other. In one class, for an hour and a half, we reminisced, cried, laughed and shared stories of the amazing ways Ajay had impacted us all. I couldn’t believe that he was gone. I wrote a little note on the envelope of my card – this time, addressing his family and sending my prayers. My friend and I spent an entire class in the girls’ bathroom, comforting each other and wiping away our never-ending tears. The next day, Friday, the entire school showed up in white. We crowded around the steps leading up to Symphony Hall, a church-like building that housed our theater. One by one, we pushed our way up to the front, dropping off flowers and letters until the whole staircase was covered. It started drizzling as Ajay’s favorite music played softly in the background. We stood there, crying quietly, gazing at the display of love for Ajay as his family stood at the side, clinging onto each other. Then, the clouds parted and gentle rays of sunlight touched our faces, illuminating us, a flock of angels on earth. Ajay’s angels. Skies were never the same shade of blue again. His unexpected death hit me like waves crashing against the shore. Even though I’ll never understand God’s reasons, I know God wanted a professional photo-shoot up in heaven. From the smallest seventh grader to the toughest senior, Ajay had united us. 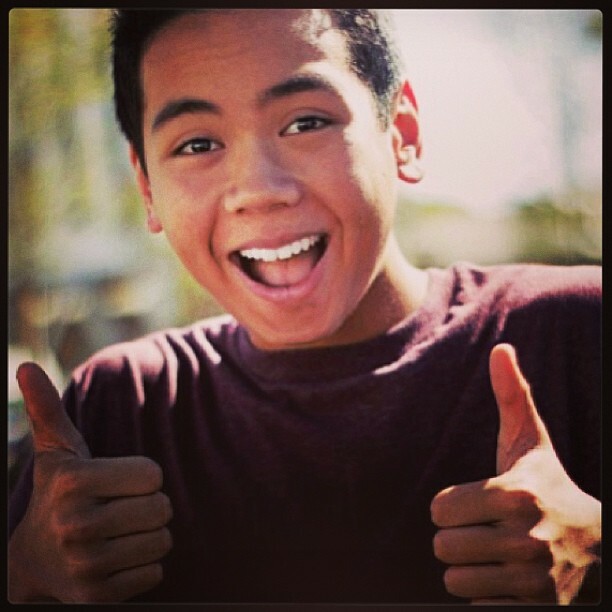 We were all brought together by his smile. He’s personally touched my life in many ways – all the moments in between laughs and tears that I’ve shared with and without Ajay. I’ve come to treasure every second of life, but instead of counting every second, I hope to make every second count. As my fourteenth birthday passed, I decided to take the time to enjoy the journey. To take the scenic route. To slow down and admire a flower by the edge of a road. Even though I know I’m inevitably headed towards 15, I’m determined not to let life pass me by in the blink of an eye. And although some people don’t get a chance to live to a hundred, Ajay has lived a hundred times a more fruitful life.